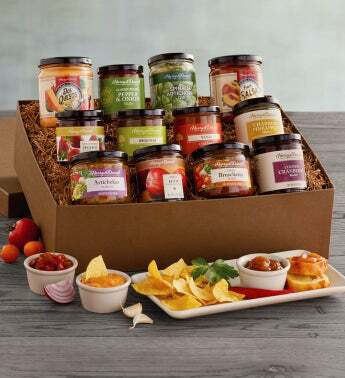 Get ready to entertain with gourmet sauces made of the finest ingredients. 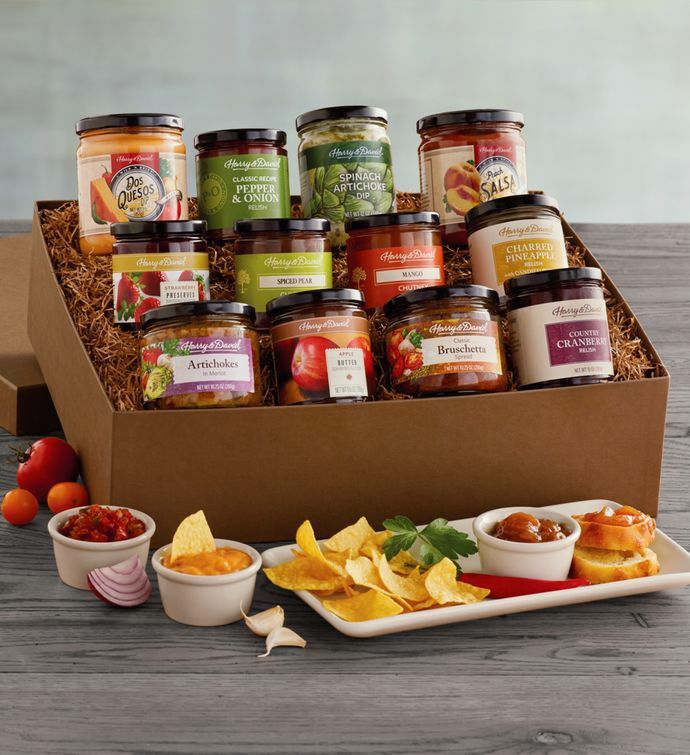 Our Bestselling Condiments Box is filled with jars of our bestselling taste sensations, such as our famous pepper and onion relish, peach salsa, and spinach artichoke dip. Packed by hand in one our handsome signature boxes, this wide-ranging condiment set includes delicious flavor profiles for any occasion.